Provide comfort for the family of Jacqueline Bateman with a meaningful gesture of sympathy. 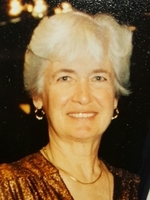 Jacqueline Marie (Desnoyers) Bateman, 83 of Red Hook, NY and a former longtime resident of North Adams, MA died Tuesday, March 12, 2019 at Baptist Home at Brookmeade in Rhinebeck, NY. Jackie was born in North Adams, MA on April 12, 1935 daughter of Victor and Viola (Roy) Desnoyers. She attended schools in North Adams, including the former Notre Dame Parochial School and graduated from Drury High School with the class of 1953. Following high school, she worked in the Admissions Office at Williams College before marrying her husband, George H. Bateman on June 15, 1957. After raising her family, she worked as the office manager in the probation department at North Adams City Hall. After leaving North Adams during 1985, she lived in Mansfield, MA where she was employed by the MA State Supreme Court in Boston. During 1988, she moved to Ridgefield, CT. before retiring with her husband George to East Dennis, MA. While in North Adams, Jackie was a communicant of Notre Dame du Sacre-Coeur and Holy Family Churches, an active member of the Travel Club as well as being an active Bridge player. After moving to the Cape, she was the President of the Garden Club of Dennis. She was the widow of George H. Bateman who died on June 22, 2013. Survivors include her four sons and three daughters-in-law; Matthew George and Marisa Bateman of Red Hook, NY; John Victor Bateman of Leominster, MA; Andrea Bateman of Merrimack, NH; Thomas Warren and Leslie Bateman of Bolton, MA and Stephen Daniel Bateman of Leominster, MA. She also leaves eight grandchildren, two great grandchildren as well as a sister, Lucille Taylor of Stone Ridge, NY, and nieces and nephews. She was predeceased by her brother, Dr. Robert Desnoyers who died in 1970. FUNERAL NOTICE: A Liturgy of Christian Burial for Jacqueline D. Bateman will be celebrated Tuesday, March 26, 2019 at 11:00 AM at St. Elizabeth of Hungary Church in North Adams. Burial will be held at a later date in the family plot in Southview Cemetery. A calling hour will be Tuesday morning from 10:00 AM until the time of the service at Flynn and Dagnoli Funeral Home, CENTRAL CHAPEL, 74 Marshall Street, North Adams, MA. Memorial donations may be made to benefit The Alzheimer’s Association in care of the funeral home. To add to the Book of Memories, please visit www.flynndagnolifuneralhomes.com. To send flowers in memory of Jacqueline Marie Bateman (Desnoyers), please visit our Heartfelt Sympathies Store. 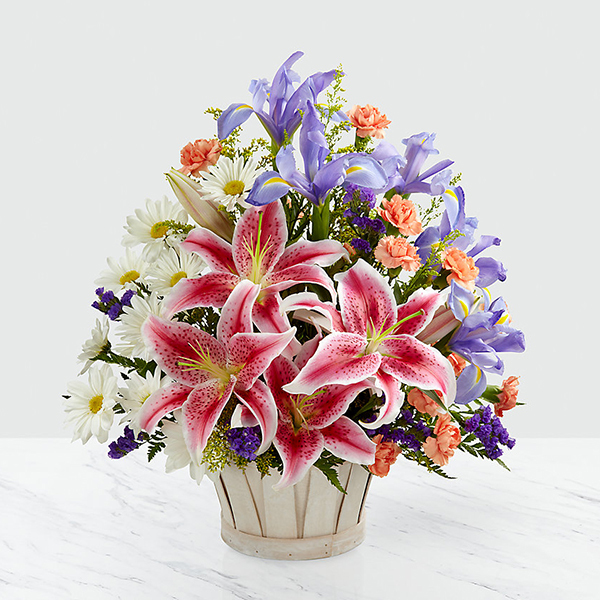 Provide comfort for the family of Jacqueline Marie Bateman (Desnoyers) by sending flowers. Heartfelt Sympathies Store purchased flowers for the family of Jacqueline Bateman. We love you Mom/Grandma. John, Andrea, Sam, Rachel, Amanda and Ethan.